Brazilian sensation Neymar is desperate for a return to Barcelona - with his staff making 'constant calls' to his former club. The 26-year-old mega star left Spain to link up with the French champions Paris Saint-Germain in summer 2017 in a world-record €220million move. But any deal to return will be extremely complicated due to the way he left the Nou Camp. Now AS claim the frontman's team are 'constantly calling' Barcelona to try and engineer a return. AS quote club sources as saying: "When he comes to Barcelona, which is usually, he always ends up visiting the dressing room. "It's a shame, because here he had everything, but ended up forcing his departure. We should see how the environment would react (to his return)." Any move back could take a while - with Barcelona quite happy to wait it out until the return is on their terms. 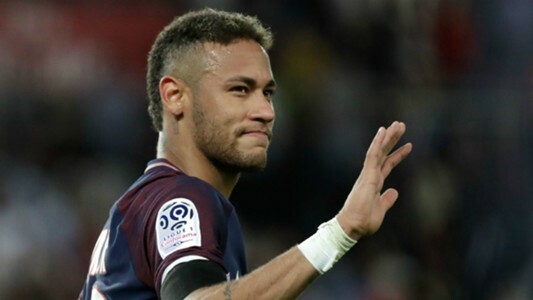 It emerged that 26-year-old is said to have an agreement with PSG owner Nasser Al-Khelaifi that he can leave the club at end of next season - for around the same price he joined. Clubs and the player representatives stayed silent on the clause, but respected Spanish outlet SPORT confirmed one is written into the Brazilian's contract. It confirms when he can leave and for how much. However the striker can only activate the release clause in 2020 if a club can stump up €215m. If Neymar wants to leave before then a buying club would have to negotiate and arrange a deal on 'friendly terms' with PSG, for a higher fee. This revelation is fuelling the fire that he's set for a shock switch back to the Nou Camp to line up with old pal Lionel Messi. Real Madrid are desperate to land him, but Neymar only has eyes for Barcelona. However Barcelona are ready to play it cool for Neymar.